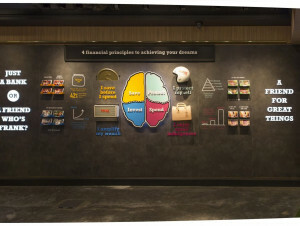 The design team realised FRANK’s financial literacy programme aimed at 16 to 29-year-olds must reflect its emphasis on empowering young individuals. 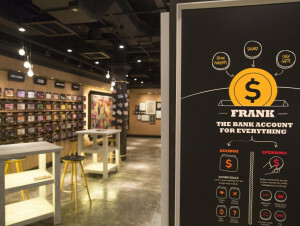 Thus, the core pillars of FRANK are featured prominently near the entrance of its NTU store to invite the curious. Inside, colourful graphics and copy elaborate on individual pillars in an engaging and relatable manner.